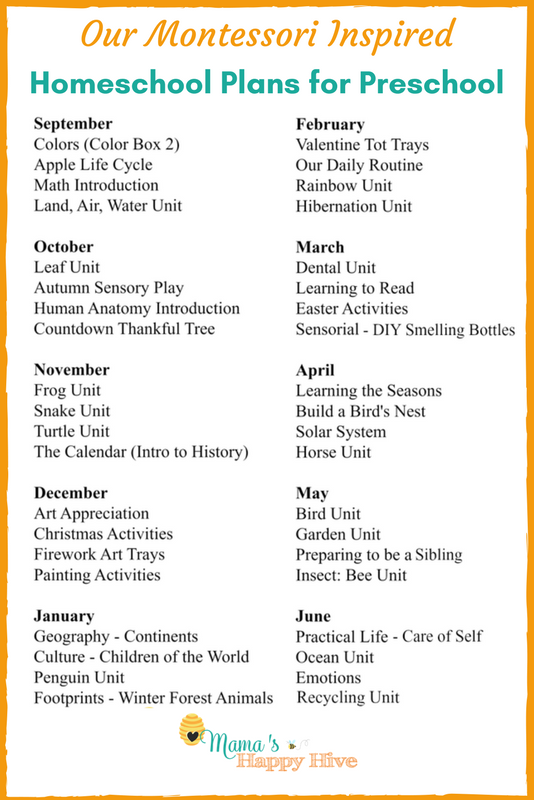 Our Montessori Inspired Homeschool Plan for Preschool (4-5 years) is a loosely formed outline of the lessons we hope to cover this coming school year. 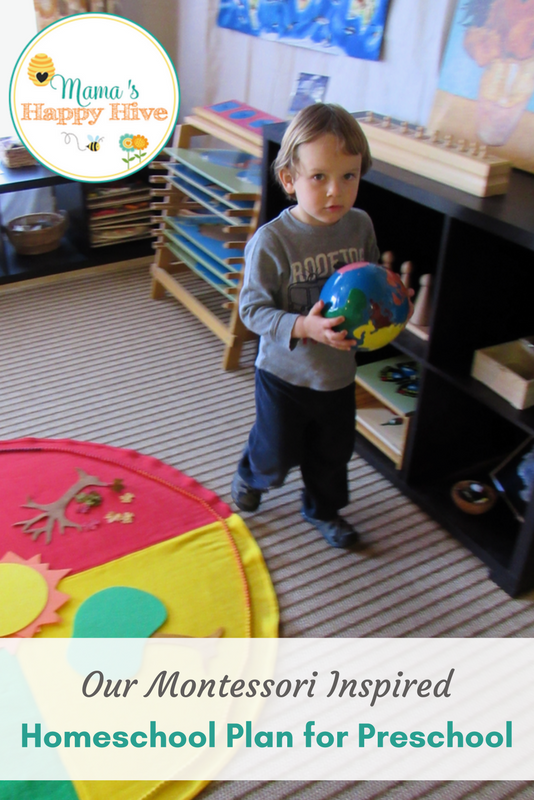 Please visit, Our Montessori Inspired Homeschool Plan for Preschool (3-4 years), for a detailed outline of last years unit studies and our Montessori homeschool goals using the NAMC manuals. Please note that this homeschool plan is fluid and will change to "follow the child" and for what works best for our home life. This plan will also incorporate practical life activities as part of our daily learning. A part of this series is a list of 100+ Practical Life Skills with free printable check list. *Here is an overview of the lessons/unit studies that we covered over the last year and a half. *As we complete each lesson in this outline, I will add a live link. Please note that this plan is fluid and will change to "follow the child" and for what works best for our home life. This looks so exciting! I can’t wait to see all of your posts. I still have yet to put Sunshine’s curriculum together for the year, but the older kiddos’ syllabuses are set. I wish you the best of luck with a new baby! I love how organized you are 🙂 It looks like you have a great plan in mind with so many wonderful activities, units, and learning to come! I also really look forward to reading about how you manage with both kids 😉 Our children will be just about the same age. Are you preparing much ahead of time? I’m hoping to get a few unit themes done and stored in bins for when baby gets here as I’m sure it will be chaotic. This might sound like an odd question, but do you have all of a months themes accessible at once (so change once a month) or individually and change more frequently. I’m just starting out and my daughter is a similar age to Bee. I usually do one theme every week or every other week and then leave his favorite activities on the shelf for a month or two. I just started preschool with my 3-year old. I have so many ideas that my head is ready to explode. I love how organized and systematic you are! I absolutely need to sit down and create a plan. I got a lot of inspiration from reading your post!!! I like Montessori and want to know much more, because is great. I agree! Montessori education is wonderful!